Gearing up for the holidays! 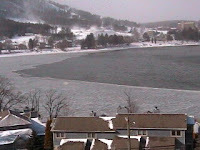 It is only 2 degrees in Deep Creek Lake today and (-)18 degrees with wind chill. 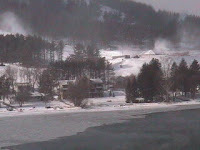 We only received a dusting of snow last night but they are blowing snow at Wisp. 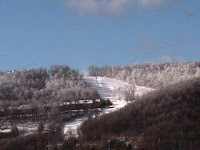 Wisp has currently an average base of 12-40 inches, with 18 slopes open and all lifts are open except for the surface tow at the bottom of Face.